Deciding on a remodel project for your home usually starts with your desire to make improvements. Equally important is the potential return on your investment. 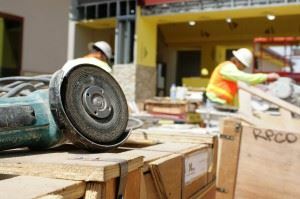 Even if you don’t plan on selling your house, you still want the improvements that you make increase its value. Here are five home remodel projects that make for a great return on your investment. A family room is in high demand especially with the young couple who wants to grow into their new home. A good size would be 16 x 25. Most family additions are single-story, which means you can install a skylight and take advantage of natural sunlight. They can also open up into a deck on the backyard. The family room could feature built-in shelves and an area for big-screen TV mount. The majority of prospective buyers are turned off with a home that has an unfinished basement. Even if the paint and carpeting is not up to their liking, they still want to have a sense of it being move-in ready. A finished basement is often used as an entertainment area and can include a bar with the sink and full bathroom. This is also an area that can be adapted to another bedroom. If you can go out remodel, then perhaps you can go up. Adding a second-floor bedroom and bathroom structure will certainly increase the value almost by 71%. Obviously, this is a much more expensive type of remodel but one that can totally transform a home. Whenever a prospective buyer comes into the house, they tend to gravitate right towards the kitchen. You can remodel your kitchen without spending a small fortune. Think more in terms of cosmetic fixes like refacing cabinets and installing new countertops as opposed to a total gut job. Although this remodel project isn’t aesthetically pleasing it will increase the overall value of your home to a large degree. That’s because you are helping the home become more energy efficient. When you get to lower costs for heating and air-conditioning you’ll be ahead of the game. No matter what type of remodel project to take on you want to consider ways to keep your budget low. That can easily be accomplished when you take on some of the work by yourself. The most popular DIY remodel job is demolition. Would you like to swing a sledgehammer? Whether you tear down a kitchen or bathroom, you’ll need to factor in the cleanup. One call to Junk King Chicago West can handle that. These are the junk removal pros that have a lot of experience with construction waste cleanup. They’ll get the debris cleared quickly and at a great price. You don’t have to be a professional contractor to put Junk King Chicago West to work on your next remodel project. This entry was posted in Carol Stream Junk Removal and tagged debris, demolition, junk King Chicago West, remodel project on June 30, 2017 by Junk King. Last updated June 30, 2017 .